Enjoy a flexible cruising time and choose to sail in the morning, afternoon or at night! Discover the relics of Shanghai's ancient past by exploring Zhujiajiao Ancient Town and Fengjing Ancient Town! Lovely and affordable way to see The Bund! As recommended, we took the 6pm trip so we see the skylines before and after the sun set. The views are really magical at nightZ Cruise dock and ticket office are quite far from the metro station at Nanjing but the stroll along the baywalk is necessary anyway. 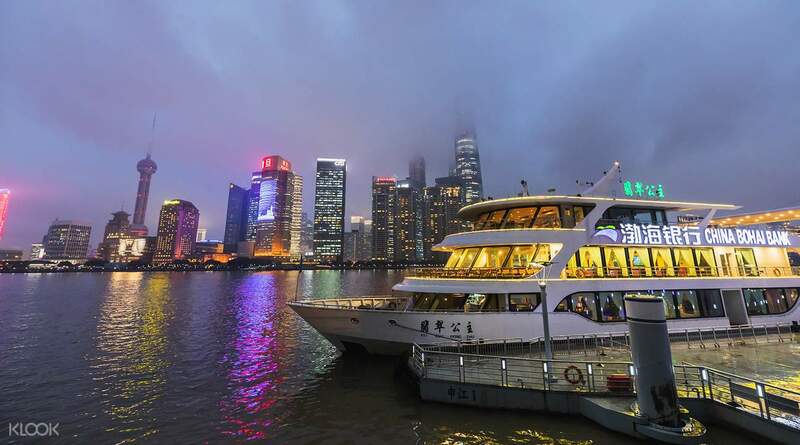 Go on a cruise along the Huangpu River and get an extraordinary view of the Bund and the surrounding areas. With a fully flexible ticket, turn up at a time that's most convenient for you, go to the port and just present your voucher to get on board. 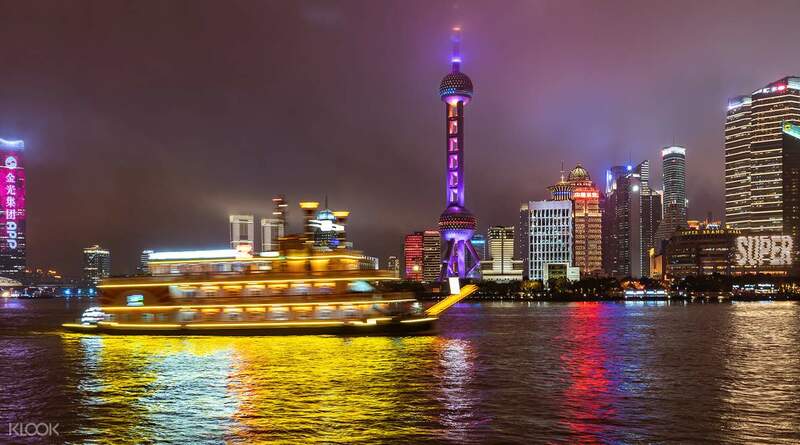 The cruise starts from the Bund and will cruise along to view the most popular sights along the Huangpu River such as the Oriental Pearl TV Tower, the Shanghai International Convention Center, Jin Mao Tower, International Finance Center, the Shanghai Center, and more (there are way too many to mention!) You can go any time of day and get to treated to different sights of Shanghai in the morning, afternoon or evening! 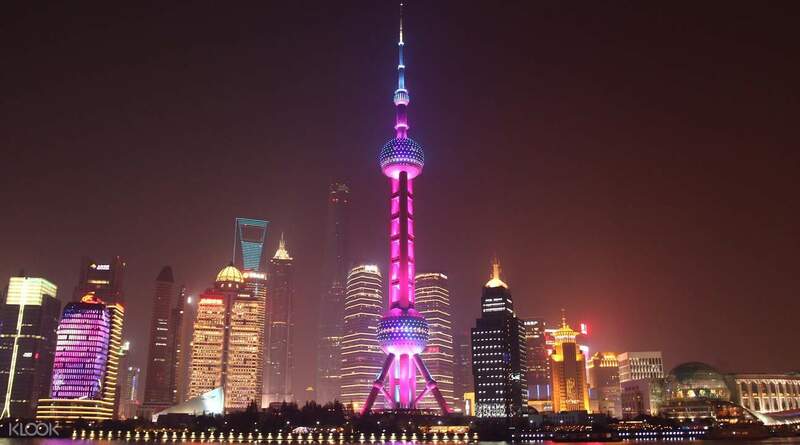 This tour is a great introduction to the beautiful city, perfect for first-timers in Shanghai! 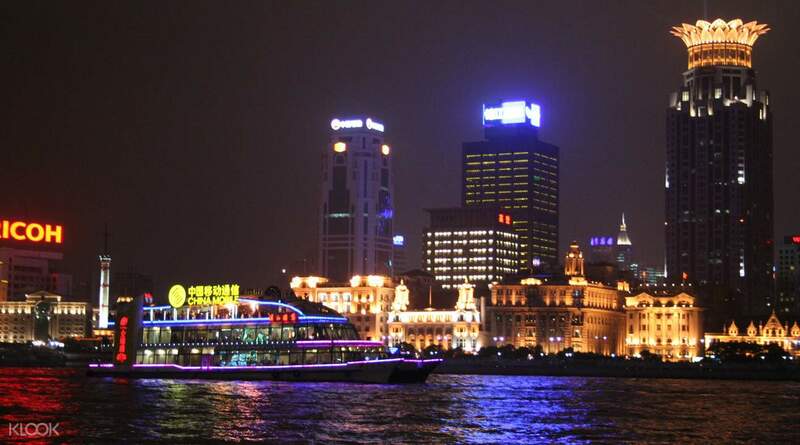 Insider tip: nothing beats a Huangpu River Cruise at night! The best time to go? 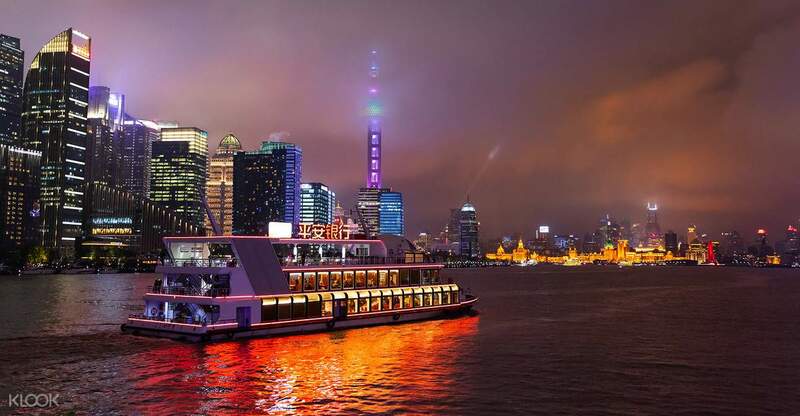 Take an evening cruise to see Shanghai's iconic buildings lit up at night! A must-do. This cruise brings you on a tour of the most iconic and breathtaking sights of various buildings and landmarks along the Huangpu River and the Bund. Take the 6 pm trip for the best sights from day to night. A must-do. This cruise brings you on a tour of the most iconic and breathtaking sights of various buildings and landmarks along the Huangpu River and the Bund. Take the 6 pm trip for the best sights from day to night. I went for the river cruise during the afternoon as it was less crowded. It was an enjoyable experience. Initially I could not locate the venue. It was quite a long walk as I went there by east nanjing road station. Once you see the structure in my first photo, that means you are near the collection point and you have to go under to find a way to enter. I realise there are different types of cruise ships and I took the 2 pm one under Ho Peng company and it was huge and nice. We could move between level 1-3 freely as it was not crowded at all. I did not TOP up to go to the vip section with seats. I just sat at the planter boxes on level 3. The ride was very long and slightly more than one hr. I went for the river cruise during the afternoon as it was less crowded. It was an enjoyable experience. Initially I could not locate the venue. It was quite a long walk as I went there by east nanjing road station. Once you see the structure in my first photo, that means you are near the collection point and you have to go under to find a way to enter. I realise there are different types of cruise ships and I took the 2 pm one under Ho Peng company and it was huge and nice. We could move between level 1-3 freely as it was not crowded at all. I did not TOP up to go to the vip section with seats. I just sat at the planter boxes on level 3. The ride was very long and slightly more than one hr. One of the best skyline of the world. Great place to spend quality time with your loved ones. Should do activity if you are travelling to Shanghai. This was my first time and I had amazing time on the cruise. One of the best skyline of the world. Great place to spend quality time with your loved ones. Should do activity if you are travelling to Shanghai. This was my first time and I had amazing time on the cruise. We took Didi (taxi app which is highly recommended. It's in English too!) to the location from our hotel and it only cost us 14rmb. A taxi approached us from outside and wanted to charge us 30rmb!!! Easily accessible and redeemable. Went for the 5.55pm cruise and it was really pretty! Please note that there'll be many pushing and queue cutters before we enter the cruise but go up to the last deck! we paid 50rmb per person for a bottle of beer and lays chip at the last deck which is really worth it! Most of the people who went up are foreigners and the view is amazing from the last deck too! We took Didi (taxi app which is highly recommended. It's in English too!) to the location from our hotel and it only cost us 14rmb. A taxi approached us from outside and wanted to charge us 30rmb!!! Easily accessible and redeemable. Went for the 5.55pm cruise and it was really pretty! Please note that there'll be many pushing and queue cutters before we enter the cruise but go up to the last deck! we paid 50rmb per person for a bottle of beer and lays chip at the last deck which is really worth it! Most of the people who went up are foreigners and the view is amazing from the last deck too! It was a nice and calming experience. It was very cold on the deck. You need to exchange the voucher on the ticketing booth but it only took a minute because there was no line. It was a nice and calming experience. It was very cold on the deck. You need to exchange the voucher on the ticketing booth but it only took a minute because there was no line. Easy ticket redemption. You can choose the time of your cruise. We recommend the 5pm schedule so that you can see the bund both before and after sunset. Easy ticket redemption. You can choose the time of your cruise. We recommend the 5pm schedule so that you can see the bund both before and after sunset. There is no line when we got to the ticket office. It was at first hard to find but we were able to google it and ask for the direction to the guards near the area. The cruise was fun. We went there for 6pm and it wasn't crowded yet. Thanks for the great experience, Klook. There is no line when we got to the ticket office. It was at first hard to find but we were able to google it and ask for the direction to the guards near the area. The cruise was fun. We went there for 6pm and it wasn't crowded yet. Thanks for the great experience, Klook. One of the highlights of our Shanghai trip! We had an amazing visit in a 6-degree weather - the skyscrapers are so beautiful and vibrant at night! Best recommended to visit is at night time. No long queues in the ticket redemption area as well. One of the highlights of our Shanghai trip! We had an amazing visit in a 6-degree weather - the skyscrapers are so beautiful and vibrant at night! Best recommended to visit is at night time. No long queues in the ticket redemption area as well.